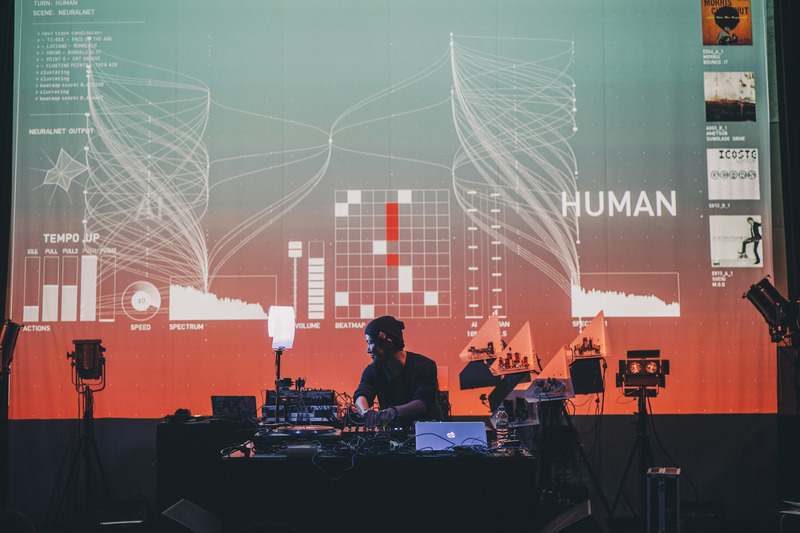 AI DJ Project – A dialogue between AI and a human” is a live performance featuring an Artificial Intelligence (AI) DJ playing alongside a human DJ. Utilizing deep neural network technology, the AI system selects and mixes songs and performs other musical tasks. Playing back to back, each DJ selects one song at a time, embodying a dialogue between the human and AI through music. Newer Post “Sonic Pendulum” with Yuri Suzukiの舞台裏 – ミラノデザインウィーク	Older Post AIと表現の今を伝えるWebサイト – “Create with AI”を始めました!